This relish will liven up your sandwich and also makes a great accompaniment to barbequed meat. Add a ribbon and gift tag to transform a jar into a thoughtful home made gift. In a large, shallow dish add the courgettes, onion, peppers and salt, and mix thoroughly. Add cold water to cover and mix again to dissolve the salt. Leave for a couple of hours in the fridge, then drain and dry thoroughly. In a large saucepan or Kilner® preserving pan, add the cider vinegar, sugar, ground mustard, turmeric, nutmeg and black pepper. Bring to a boil whilst stirring then add the courgette mixture. Reduce the heat and simmer for 30 minutes. 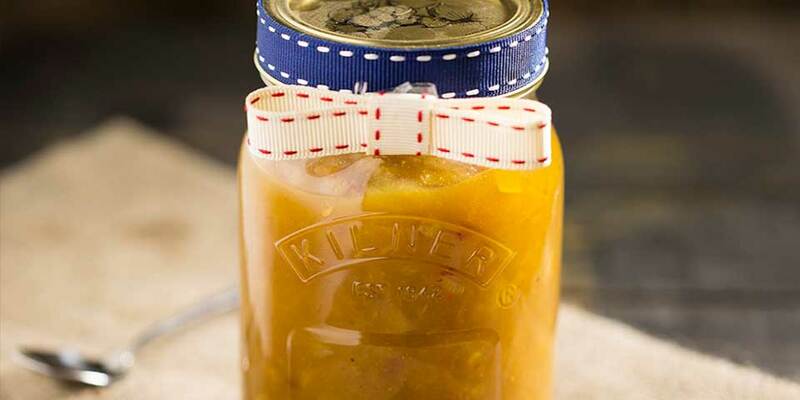 Ladle the relish into sterilized Kilner® jars leaving 1/2 inch headspace. Wipe threads of your jar and seal. Process your Kilner® jar using your preferred method or as advised in your recipe. Once opened, eat within a week and store in the refrigerator.